The GLL Sport Foundation works in partnership with National Governing Bodies and their talent pathways through the below National sporting partnerships. SportsAid helps the sports stars of tomorrow today by giving them cash awards during the defining early years of their careers. The GLL Sport Foundation partners SportsAid to expand and co-ordinate talent identification and funding recommendations across GLL partnerships to ensure the GLL Sport Foundation funding is aligned to National Governing Bodies of Sport performance pathways. Tim Lawler – SportsAid Chief Executive explains “We are really proud of the impact SportsAid’s partnership with the Foundation is making in sport. Together, we’re able to focus on young sporting talent, giving them some recognition and financial help. Many of these young athletes aspire to compete in future Olympic and Paralympic Games and the support offered will help make this possible”. By raising money in the name of sport, for the benefit of sport we ensure Britain’s young sport stars have the backing they need to reach the same heights. 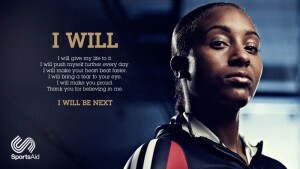 SportsAid has distributed more than £50million to athletes throughout Britain and gives around 3000 awards every year. SportsAid is also responsible for the Government backed Talented Athlete Scholarship Scheme, or (TASS), which helps talented young sports people to balance academic life and performance sport. SportsAid develops partnerships with companies, individuals, the public sector and other grant giving trusts to fund these talented sports people. The GLL Sport Foundation works in partnership with Mary Peters Trust in Northern Ireland – Belfast to support the talent pathway and provide the right level of support to identified athletes. The GLL Sport Foundation works in partnership with SportsAid Wales in Cardiff and Bridgend to support the talent pathway and provide the right level of support to identified athletes within Bridgend through the Halo Sport Foundation. SportsAid Cymru Wales is a unique charity dedicated to helping talented young sports people in Wales achieve success by easing some of the financial barriers which can crush their dreams. The GLL Sport Foundation works in partnership with Tennis First to support the talent pathway and provide the right level of award to identified tennis players across the UK. 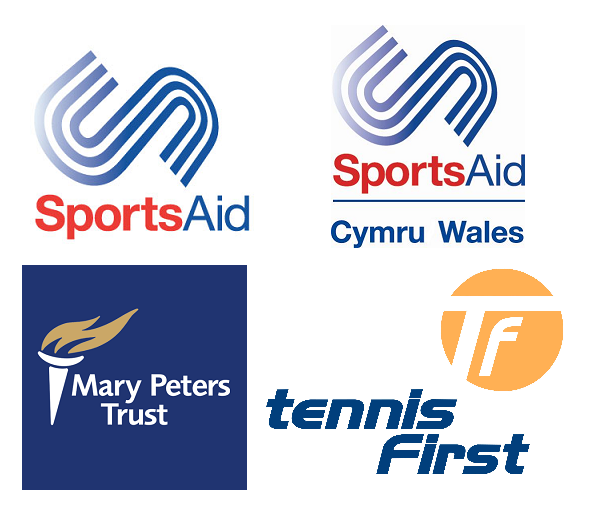 Tennis First are a charity and are a direct partner to the Lawn Tennis Association.